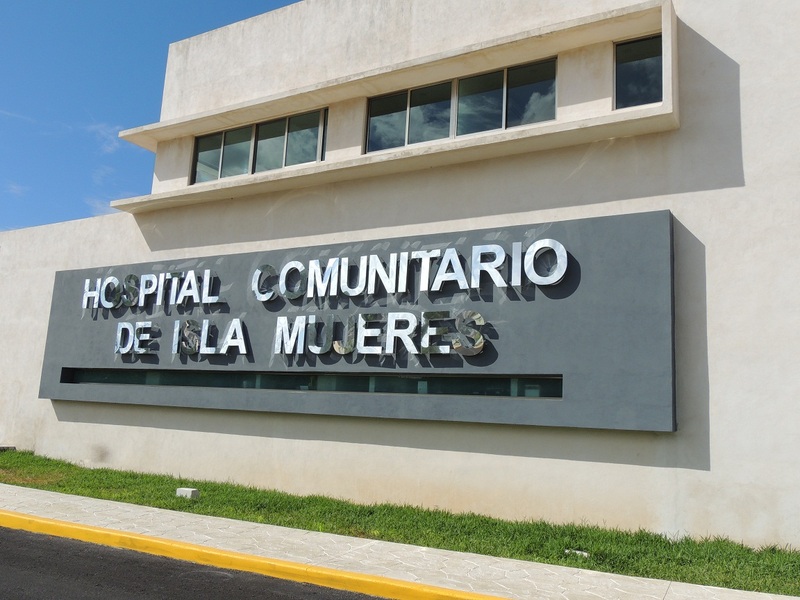 Finally, the new Hospital Comunitario de Isla Mujeres is in operation. 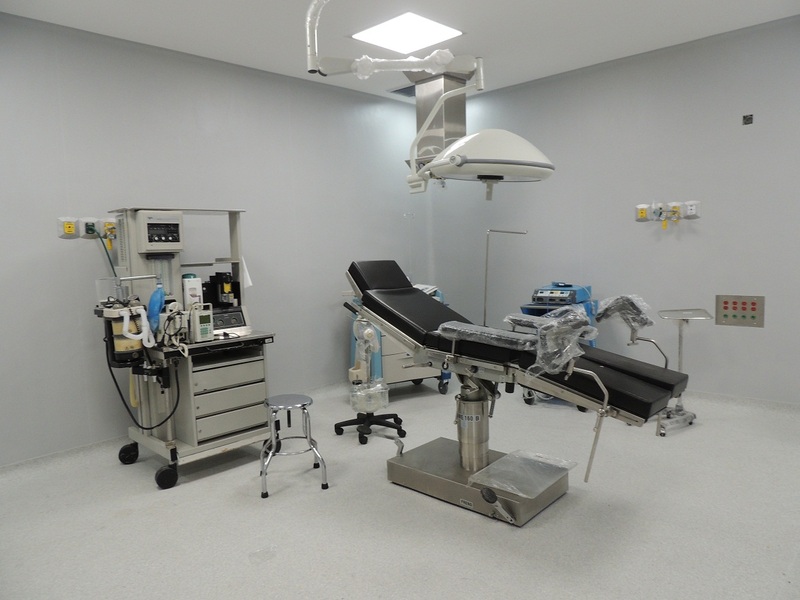 The hospital construction project was started during the administration of Presidente Alicia Rincaldi and languished from lack of funding through the administration of Presidente Hugo Sanchez, coming to completion under Presidente Agapito Magaña. 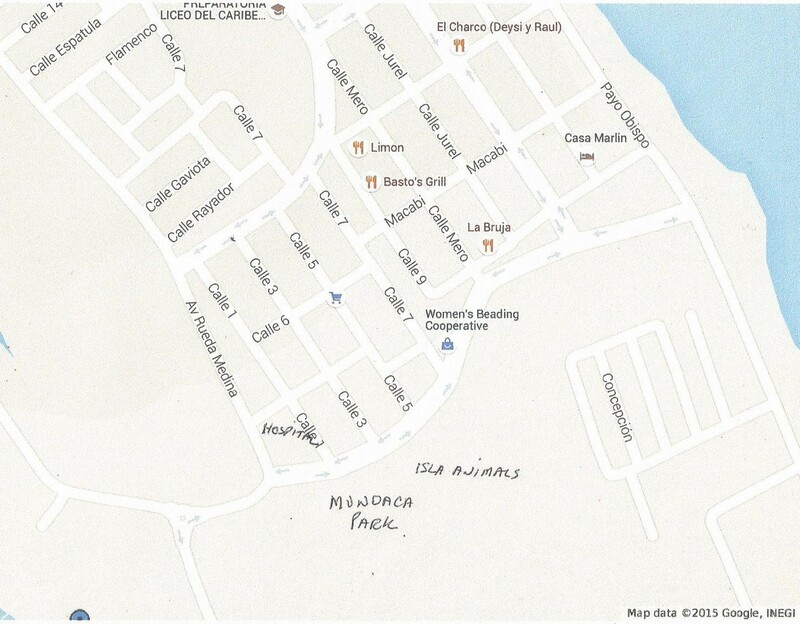 It’s a beautiful facility located on the corner of Rueda Medina and Calle Paseo de los Peces, across from the large palapa entrance to the Hacienda Mundaca historical park. 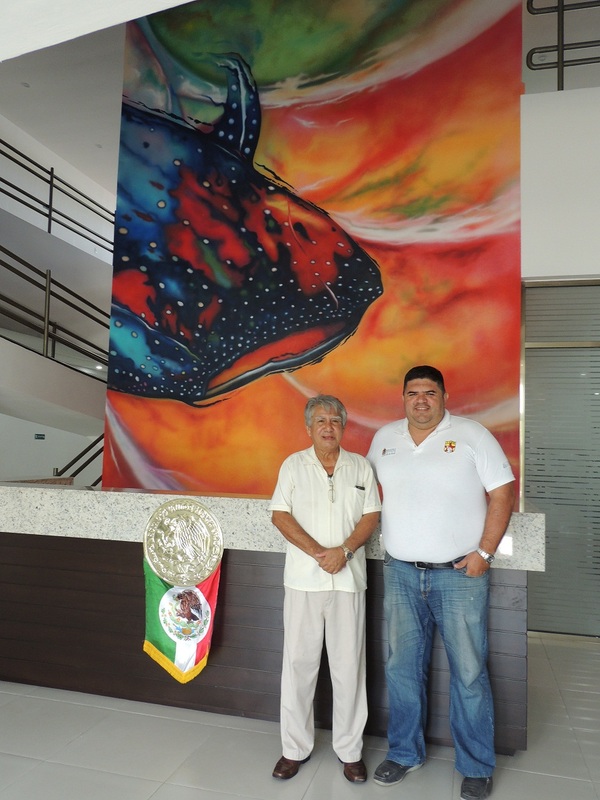 Our friend, Jorge Avila who is the Coordinador de Sanidad Internacional for Isla Mujeres met us in at the entrance and introduced us to the Hospital Director, Doctor Zapata. Doctor Zapata is an orthopaedist, and also specializes in trauma injuries. It’s good to know he’s is available to assist with life-threatening problems. 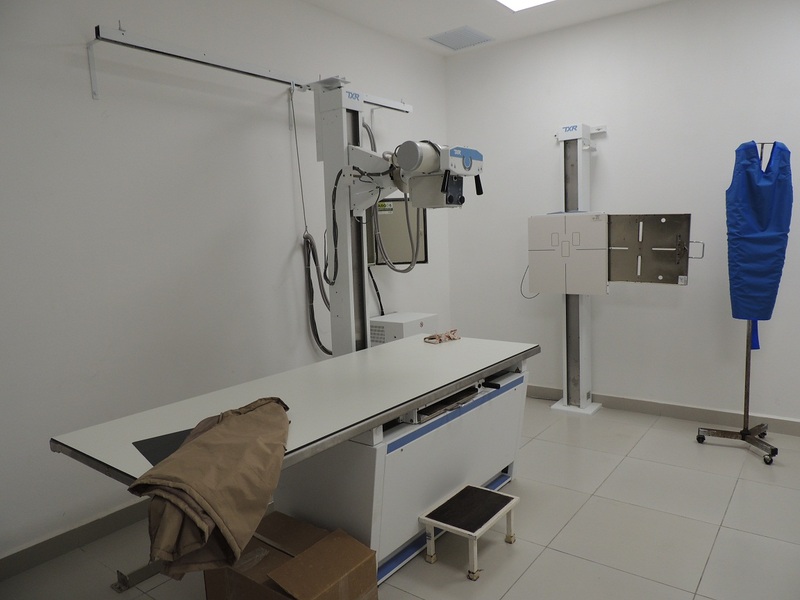 As we started our tour of the hospital, Jorge explained that we were allowed to take photos inside, only today, as the final installation of equipment and the sterilization of the operating suites was taking place and many of the areas would soon be off-limits to the public. Even so, we didn’t take photos of the patients as we didn’t want to infringe on their privacy. There are ninety-five people employed by the hospital; three doctors in general admissions, and two doctors in the emergency area. The hospital has its own pharmacia, (pharmacy) a vaccination room, and a place for island children under the age of twelve to receive free monthly check-ups and vitamin milk. 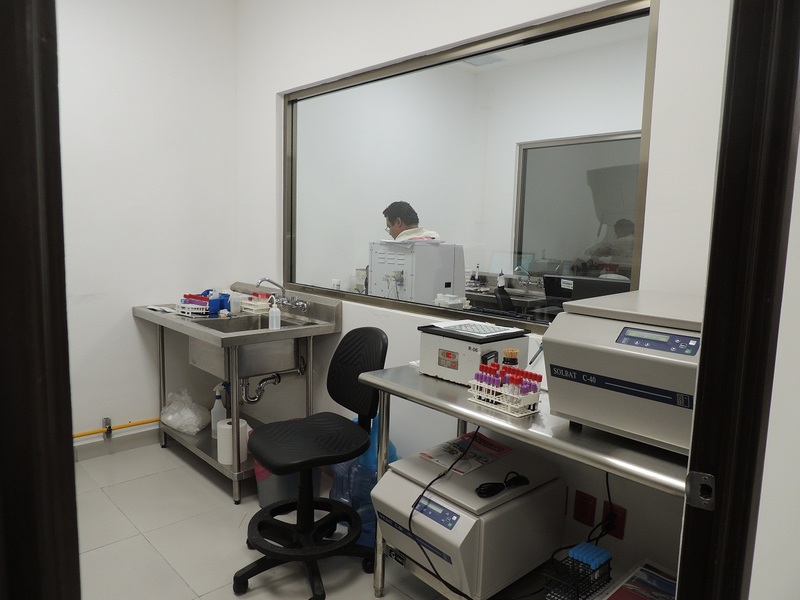 There are also new x-ray and ultrasound laboratories. 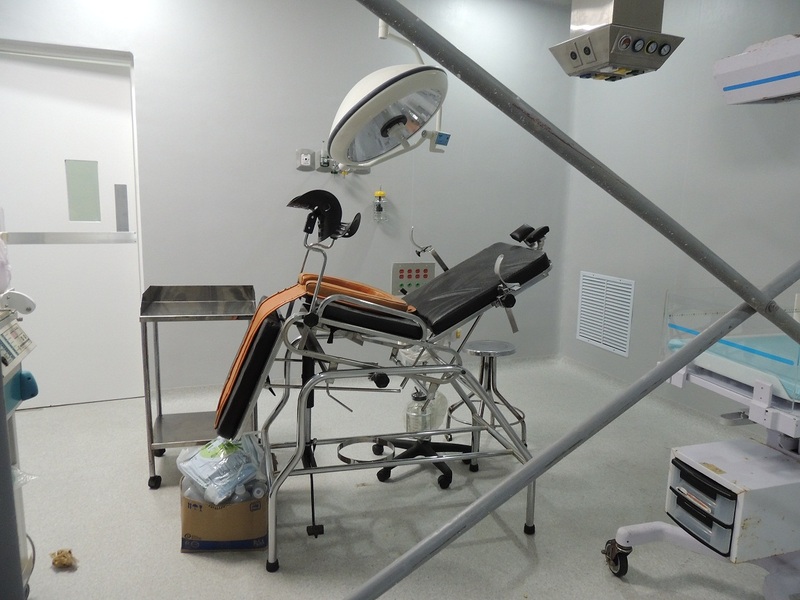 A new hyperbaric chamber is due to be delivered soon to facilitate treatment for a variety of problems. Hyperbaric oxygen therapy (HBOT) squeezes the oxygen molecules to allow more oxygen to enter the blood stream, and increasing the healing ability of the body. It is used to treat deep water decompression sickness, the complications of diabetes, radiation treatment burns, and broken bones that are not healing properly. The existing hyperbaric chamber in centro is funded by the fishing cooperative, and will remain available for the fishermen’s use. Another interesting bit of information we learned is that restaurant workers must be tested every six months for hepatitis and salmonella. The hospital has a separate lab with its own entrance to accommodate the huge number of islanders involved in the restaurant industry. 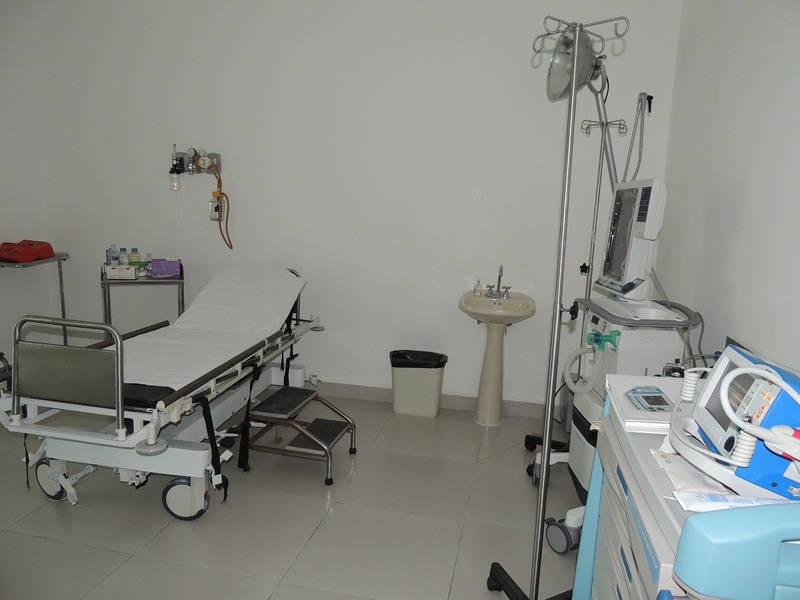 On the second floor of the facility are several private and semi-private rooms for recuperating patients, as well as the administration offices, and segregated dormitory rooms for future employees. 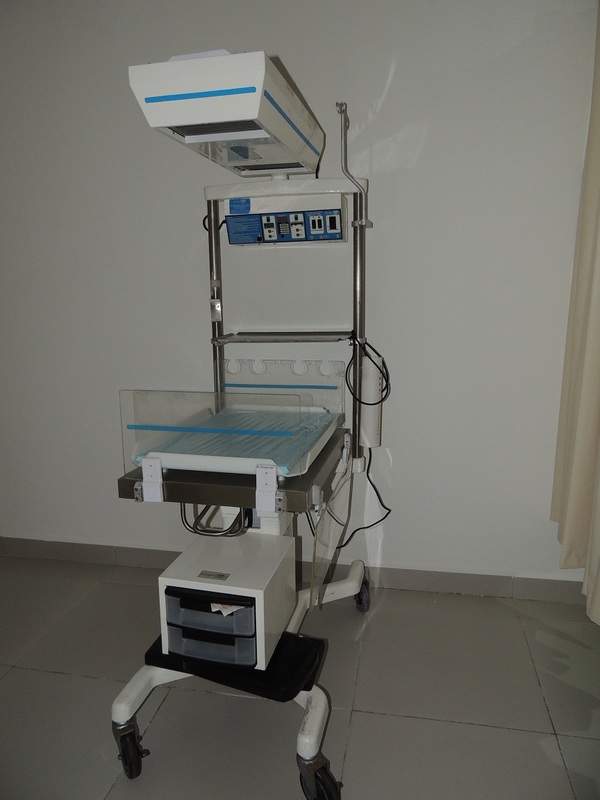 The maternity area was most impressive with the delivery room, recovery room, a separate area for newborns. I can’t begin to name all the fancy equipment and machines that we saw but they certainly looked important. Fortunately the hospital is air conditioned so perhaps the normal rust and corrosion problems that are common here on Isla won’t be such a challenge. At our house anything electronic has a very short life span. More cool stuff for newborns! As for what additional equipment they need Jorge said he is coordinating requests with the Seniors and Friends of Isla, a group made up primarily of expats who have been coming to Isla for many, many years. Here’s their FaceBook page link: https://www.facebook.com/islamujeresseniorsandfriends?fref=tsor you can always contact me for the email addresses of Gary, or Denis, or Andy. One thing Jorge did mention is the need for good quality type-three cardiac stethoscopes. On average a stethoscope only last a few months due to salt, humidity and corrosion. Just an idea if you are looking for a way to contribute to the community. So, fingers crossed Lawrie and I won’t need to personally check the quality of emergency care at the new hospital but it is reassuring to know that we have a beautiful, new facility just a few minutes away. We hope you enjoyed this post. If you did please feel free to share it with your friends and family. Any errors with the information in this post are my fault! It’s my darn Spanglish that tangles me up! Next PostNext Isla is Booming!